Well Dad, I’m off to Singapore. Got any advice? Yes. Don’t spit in public and don’t write graffiti on anything. Of course not! You know I wouldn’t do those things! Well, just keep your nose clean and you’ll be fine. Have fun. 今日のひとこと：　The sky’s the limit. I’ve been in Japan for five years and I still can’t speak Japanese. Any tips? Immerse yourself in it. Read it, write it, speak it, listen to it, live it and breathe it as much as you can, every day. Maybe I can get a better job if I improve. As for job opportunities, the sky’s the limit! You can do almost anything you want if you can master both languages. Wow, we’ve never been to Ehime before! What are we going to do? Great! But how were you able to make these reservations? You don’t speak any Japanese. It’s a whole new ball game with the Internet. I was able to make reservations and rent a car all online. We’re about to land in Thailand! Ah, it’s so … wait a minute. Where did you get that bag? That man and woman I met yesterday asked me to take this to Thailand for them. What’s inside? Did you check? No. They were nice people though. Oh, no! You really screwed up! The new guy is always emailing his friends and surfing the Net at work. Let me guess, he’s in his early 20s, just out of college, listens to his iPod, and plays video games on the clock, too. You’re spot on! How did you know all that? We’ve been having the same problem with our new hires, too. 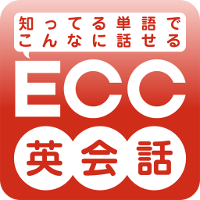 © ECC Co., Ltd. All Rights Reserved.